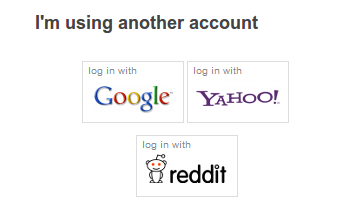 Just like you can log in to the site using a Google or Yahoo account (or a bunch of others) now you can log in using your Reddit account (if you have one and want to). If you have an existing account, you can add a new login option from the login methods page. There you can add a new association and select the Reddit logo. Then you'll get redirected to Reddit.com asking to authorize Bratabase, here you want to click "Allow". As you can see there we only get access to your username. On the login screen you'll see a new "Reddit" button, click on it! 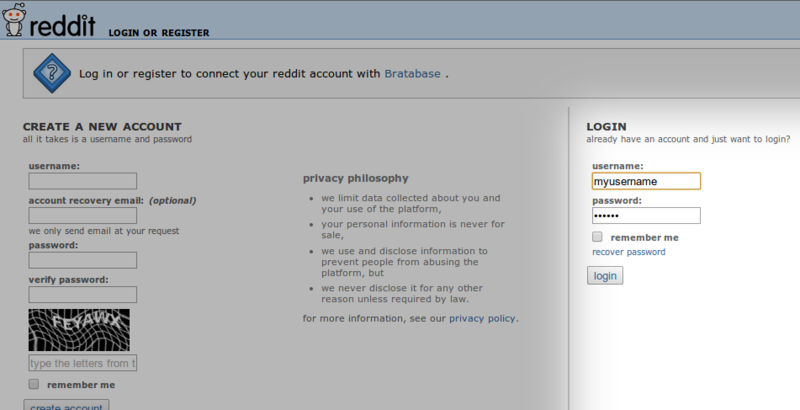 Then you'll get redirected to Reddit.com asking to authorize Bratabase, here you want to click "Allow". As you can see there we only get access to your username only.